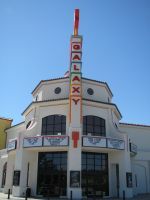 Opened Spring 2011 as the Galaxy Colony Square Theatre. It later was named the Galaxy Atascadero. This movie theater is near Atascadero, Templeton, Creston.